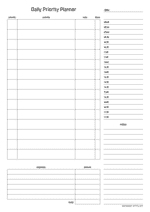 Daily priority planner on an a4 size paper in a vertical, portrait orientation. Make sure to never forget a task. 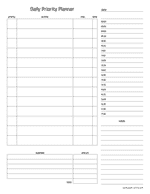 This sheet has a handy timeschedule and expenses tracker.